This cardigan bolero is the perfect go-to for chilly evening nights. 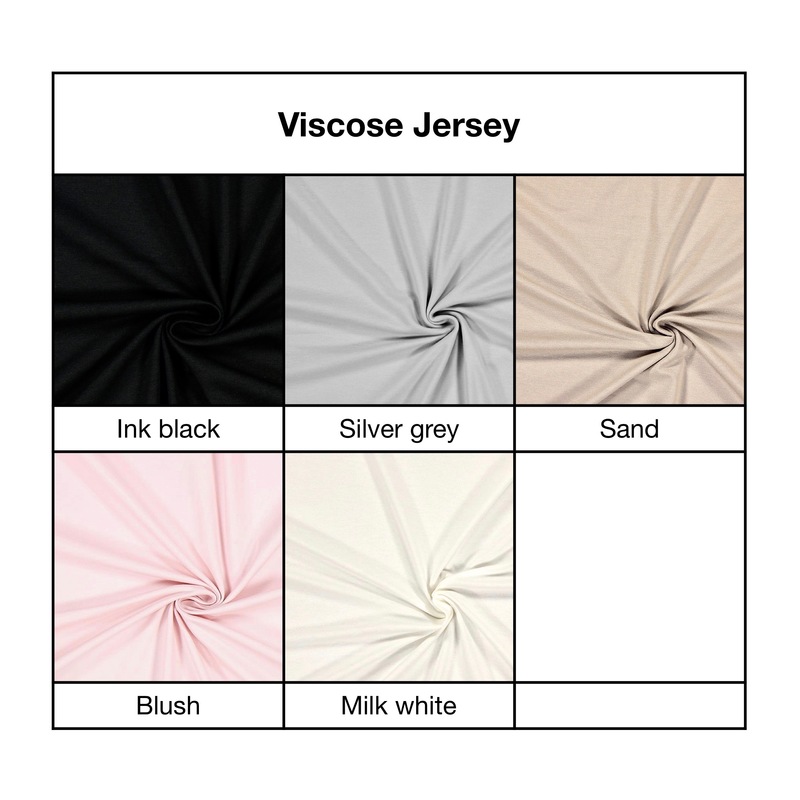 Made using a light, soft viscose jersey, available in a range of different color options. 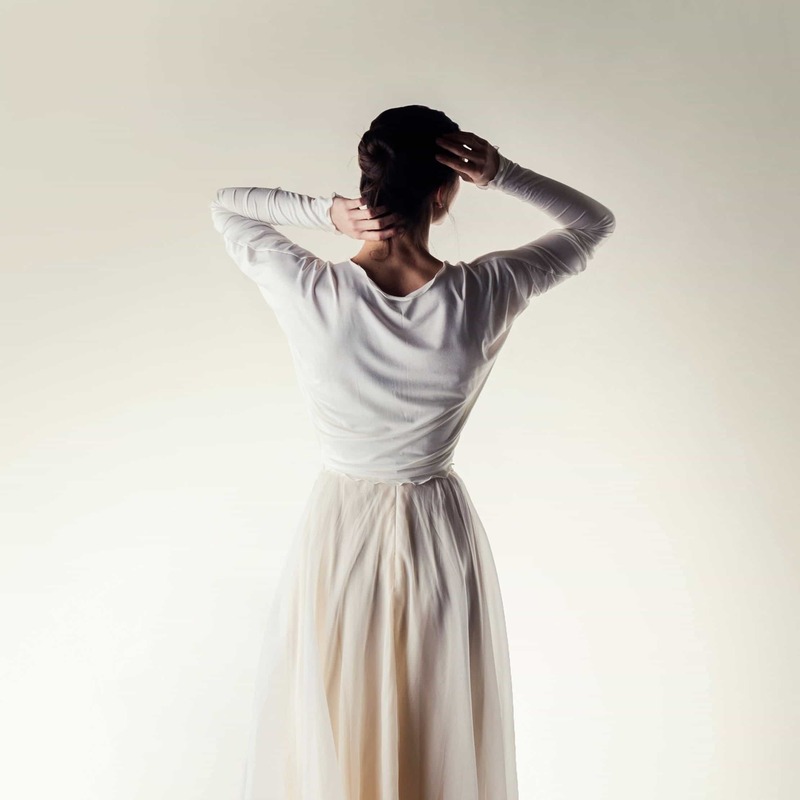 Designed to be soft and loose all over, draping subtly around the shoulders, it has long sleeves, progressively more fitted towards the wrists, for a flattering, elongating look. You can choose to have the edges left raw, or have a ruffly lettuce hem, or have a flat folded hem. These also is an option without front ties, it will have a small invisible hook-and-eye clasp in the same place, giving you the option of closing it without the added volume and bow of the ties for a more essential look. Pictured in Sand and Milk white, size S with a ruffled lettuce hem. It's a joy to wear this cardigan! The material is super soft and delicate and it has a great fit. Lucia also provided a fantastic service and the package arrived super fast. Amazing! A beautifully made cardigan that fit perfectly and feels lovely to wear. I look forward to wearing for my wedding day.